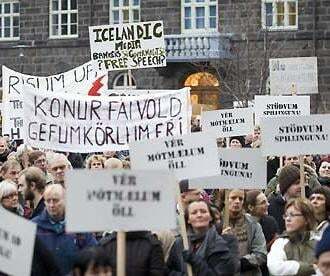 People in Iceland have rejected their government’s pledge to repay a debt of more than US$5 billion left by the collapse of Icesave Internet bank. 93 per cent of people voted “no” in a referendum. Less than two per cent supported the repayment of the debt, which is due to be paid to the UK and Dutch governments, which had compensated the investors who had lost money. Andrew Gavin Marshall from the Center for Research on Globalization says the public should not have to shoulder the burden of mistakes made by banks.